Teens need to toughen up. They’re kids—what do they have to worry about? We love our youth, but perhaps the statements above have run through your mind at one point or another. Sure, young people get stressed, but everyone gets stressed. The truth, however, is that teenage stress and anxiety have reached epidemic proportions in America. According to the latest report from the Child Mind Institute, nearly 1 in 3 adolescents will meet the criteria for an anxiety disorder diagnosis by the time they reach age 18. For 1 in 4 teens, their anxiety will be severe enough to be life-altering. According to the Child Mind Institute report, “Researchers believe that brain changes in adolescence increase a teen’s vulnerability to depression and anxiety.” Responding to adolescent stress and anxiety, and helping young people manage and minimize these experiences is vital for parents, educators, and youth workers. Experts agree that helping teenagers overcome anxiety requires multi-pronged interventions on the part of mental health professionals, schools, parents, and community resources such as churches. 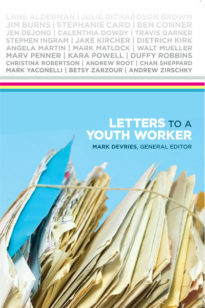 Yet, while most youth workers see the levels of stress and anxiety exhibited by teenagers, CYMT is concerned that too few youth ministry professionals are responding in meaningful and well-thought-out ways. Taking prayer requests for stress, and sending students out with a hug is hardly the only thing that youth workers can or should do to address the epidemic of stress and anxiety sweeping today’s teenagers. It’s with those facts in mind that this month Cultivate: A Thoughtful Youth Ministry Conversation will bring together leading minds in youth ministry along with thoughtful practitioners for a case study-based examination of youth ministry’s response to adolescent stress and anxiety. Rather than inviting experts to speak broadly on topics, delivering their usual schtick, we’ve invited our guest speakers to respond directly to a case study that raises some of the issues and tensions surrounding adolescent stress and anxiety. 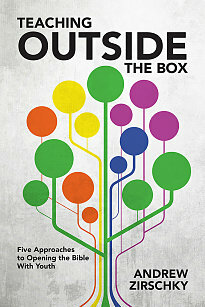 Participants at Cultivate will then be engaged in round-table discussion to devise further actions. “We need to point out that these kids are truly feeling anxiety because when they go to school, the mall, or the theater, they have no idea if that’s their last day on the planet. They legitimately fear that a gunman is going to end their lives or that of their friends. It’s traumatizing to live in a state of constant fear, but that’s where our kids live,” says parent Jamie Scott. 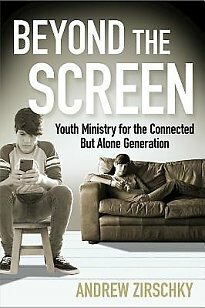 All of these perspectives culminate in the youth pastor being brought in to consider how the youth ministry should best respond to the reality of stress and anxiety among Generation Z teenagers. Participants and respondents are asked to put themselves in the role of the youth pastor in the case study: How do you frame the issue of busy, stressed-out, and anxious youth theologically? And what should the youth ministry be doing practically for stressed-out and anxious youth, especially in light of falling youth group attendance? So what about you? How would you respond? Join the discussion online, or at Cultivate: A Thoughtful Youth Ministry Conversation, January 24-26, 2019. My goal as a Youth Pastor is to program less, and to create space during youth group for respite and sabbath. Once a month we set up prayer stations and meditative experiences for teens to let go of stress and hand over their burdens to God. 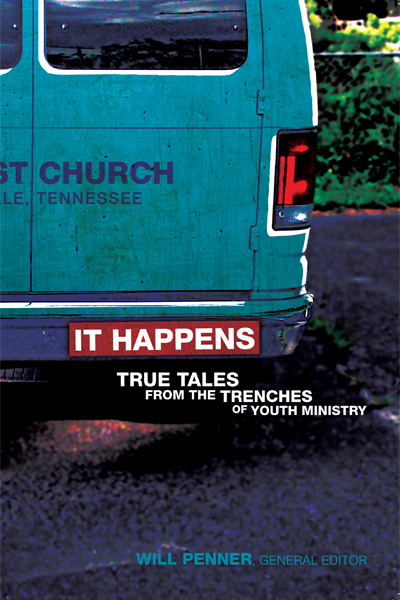 Pressuring teens to come to youth group and church is just adding to the pressure that already exists in their lives. Instead of pressuring, perhaps a step in the right direction would be to encourage parents and teens that youth group is a place for to relax, let go, and fully embrace Sabbath even if it's just for an hour or two. Perhaps, instead of midweek programming, we open up the church for teens to get free tutoring, homework help, meals, counseling, or even just a safe place to take a nap. I always let teens nap if they need it...seriously! I even have a napping blanket. I imagine youth group to be a place where we say, "Welcome! Come on in. What does your soul need today?" Sometimes it's a nap. Sometimes it's a donut. Sometimes it's a fun game or event that gets their minds of all the anxiety they are carrying. Most of the time, it's always a listening ear. Or what if we cut out midweek programming and instead sent youth leaders to go to where the teens are at... go to their extra-curricular events and cheer them on. Just some thoughts on the practical side. Theologically, we need to teach about sabbath is a lifestyle, not just a day. So I am a parent of a now 26 yr old Daughter and a 24 year old Son. Daughter Graduated out of College in 2016 son still in college. I spent 12 years as a worker with the Youth Group at Church when my daughter first entered 6th grade. I found over that time that very few if any parents participated and that the Youth were stressed because they were spending so much time on school activities with the goal to get into Berkeley or UCLA or Harvard as the means to a better life. My wife and I deliberately took a different approach with our Daughter and son, we emphasized they did not have to get involved in anything or overstress or take honors or AP classes and we emphasized they did not have to go to UCLA or Harvard to be successful. This approach lessoned the "stress" each had and they could participate in Youth Group, missions and other activities with joy. I was not able to convince any other parents of this approach and it was sad the stress the parents, community and school put on these youth. They very simply did not have any time to have fun with anyone let alone their uninvolved parents. My wife and I success two now young adults who know Jesus Love him and are involved in Young Adult and other ministries in their Churches. Our Daughter now married is a Special ED Teacher in East Texas and her love from the heart and from God shows out to all. Our Son is the one who all friends come to for help in managing life and his heart is so big for all it's amazing. One should know that both my children were adopted from China at age one (respectively in 94 and 95) and that my wife is also native Chinese. We also live in a Majority Asian community in SOCAL and attend a Chinese church. Even more notable our daughter met her future husband at a Church retreat in the Summer of 2015 and he also is an adoptee from China. 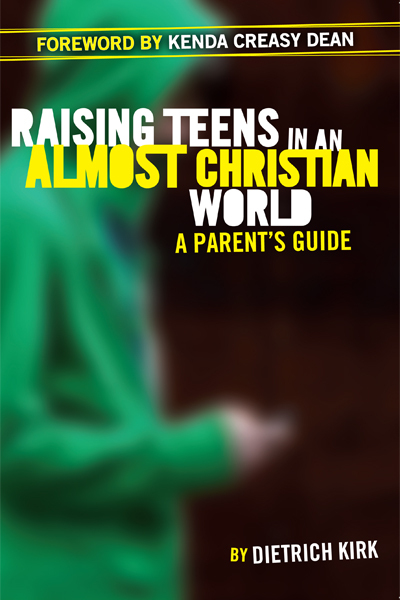 Parents need to help their children manage the stress so they have time to be involved at Church and grow their faith. Going to a particular college is not the do all in life, being a whole person, having a Love for the Church and for God and Jesus seems to me to be more important.